Home security and video monitoring are very important topics to most home owners. There are many different products and services on the market to choose from. Today I am looking at the Mini Plus Wi-Fi Camera from EZVIZ. I need to thank the manufacturer for providing a unit to test for this post. If you ever wanted to set up your own home monitoring system or setup a video chat system, the Mini Plus Wi-Fi Camera can do the trick. The camera video and screen resolution are excellent and the lighting worked well. Since there are not a lot of “moving” parts with the camera, it is hard to “mess” up. Once you have charged, positioned, and put the camera on your Wi-Fi network, everything you will need to do can be done within the app. For those not familiar with IFTTT, this is an applet that allows you connect 2 apps together to perform a function. So within this app, you can turn on Sleep mode or have the WeMo on when motion is detected or you can setup your own. A pretty neat feature to have. 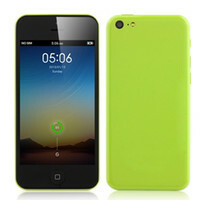 The app interface is very intuitive so you should not have any problems figuring out what to do. The test images and videos I did were clear and well defined. The camera does have a wide angle so you can see quite a bit within the field of view. I would think the primary use of this camera is for security. You can set when and how you record and you can save quite a few videos within the cloud. You could use the camera for video chatting since there is a mic and you can also save videos and watch them later. There are some easier and less expensive options so I would think that this is not as popular. 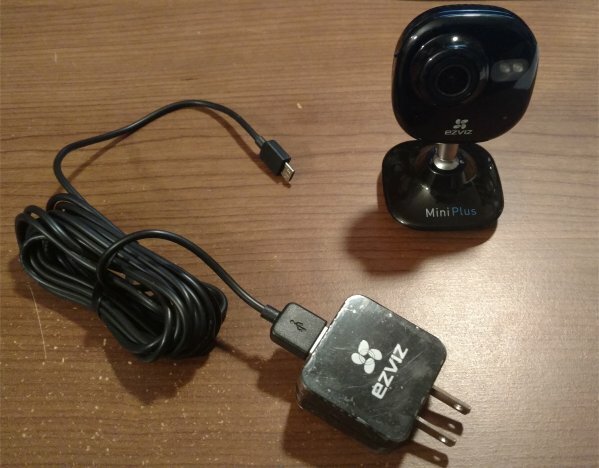 EZVIZ Mini Plus Wi-Fi Camera is a nice camera and has a very well done app to support it and allow you to have your own video security system. The price seems reasonable compared to other cameras on the market. There are quite a number of options you can customize within the app to really create the system you want. I had no problems setting up and using the EZVIZ camera. So if you are on the market for a security video system you can control on your phone, then the products from EZVIZ are a good choice. 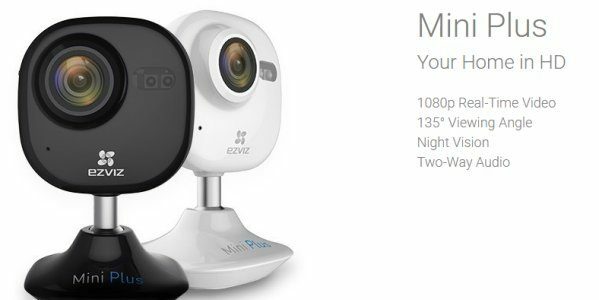 EZVIZ Mini Plus is an easy to setup and use wi-fi camera that allows you to monitor or video chat with others for your home or office.